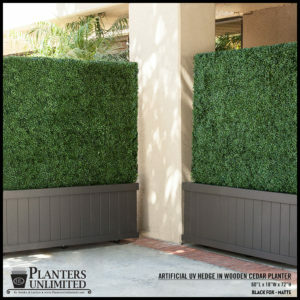 By now, you’re likely aware of how perfect our artificial boxwood hedges are as privacy screens and space dividers for homes, offices, restaurants, hotels—and pretty much any space. 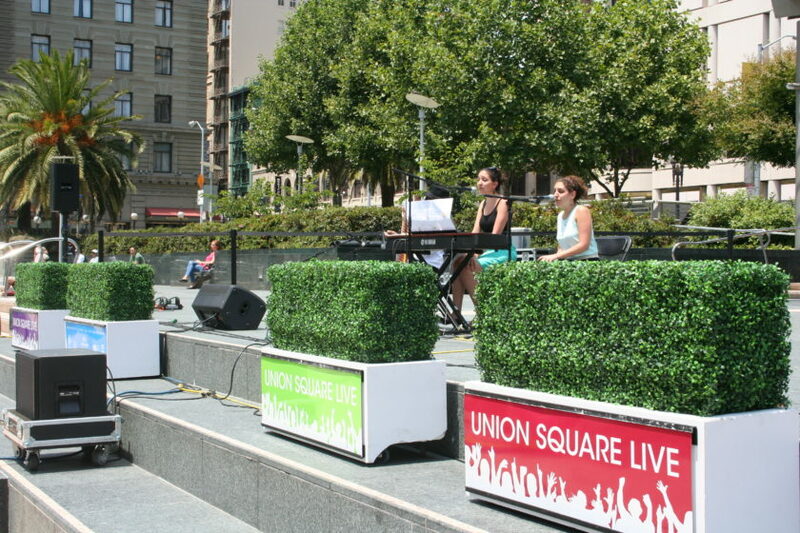 But you may not be aware of the many other uses for these lush, lifelike hedges. 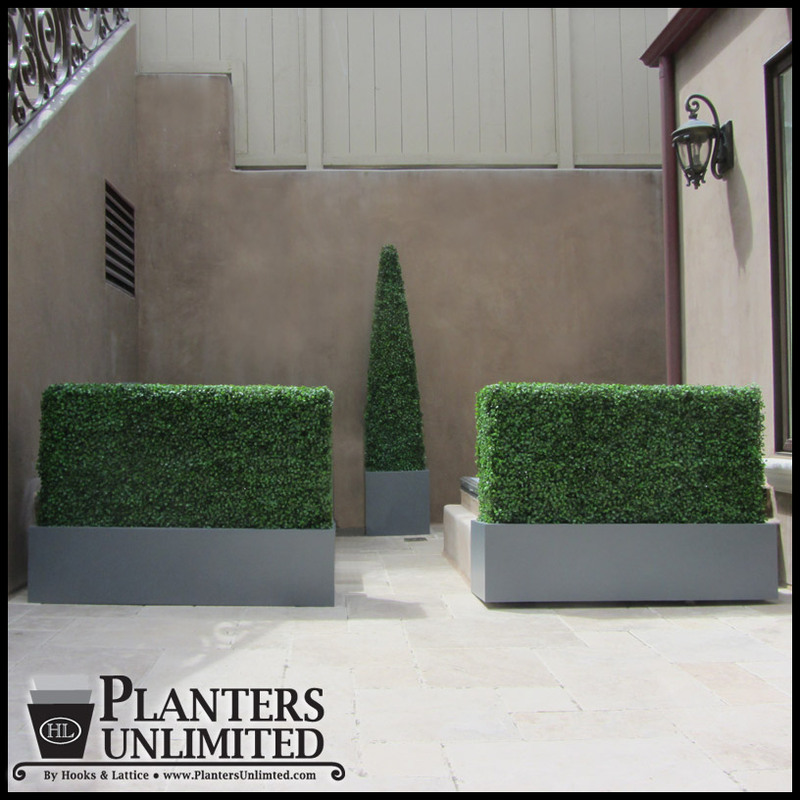 The possibilities are endless, since these hedges are available in both indoor and outdoor-rated constructs, and so easily customized. 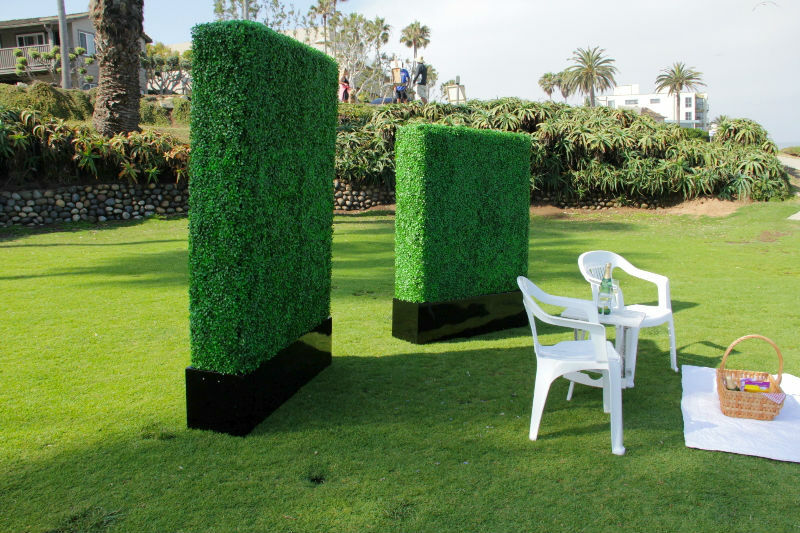 Here are just a few ways to utilize these thick, green hedges that you may not be aware of. Are you annoyed at the constant noise from living on a busy street? 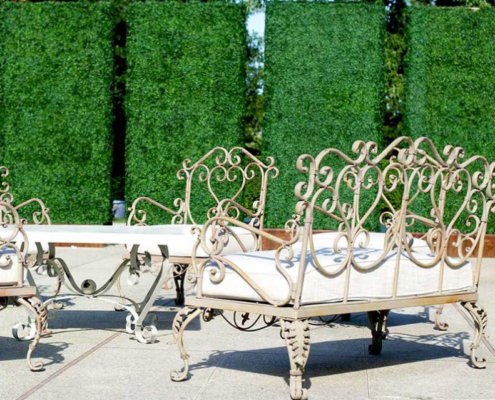 Is your restaurant patio a bit too loud for patrons due to a freeway close by? How about that incredibly annoying sound coming from your (also unsightly) AC unit or utility box? 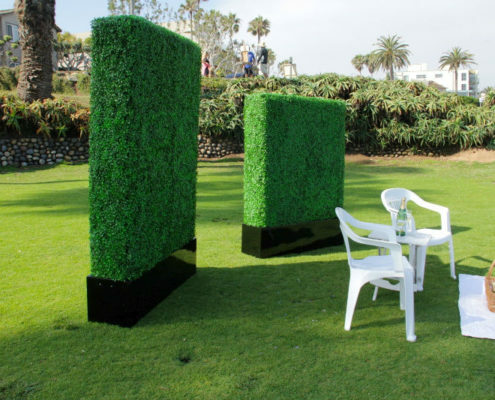 Artificial hedges to the rescue! 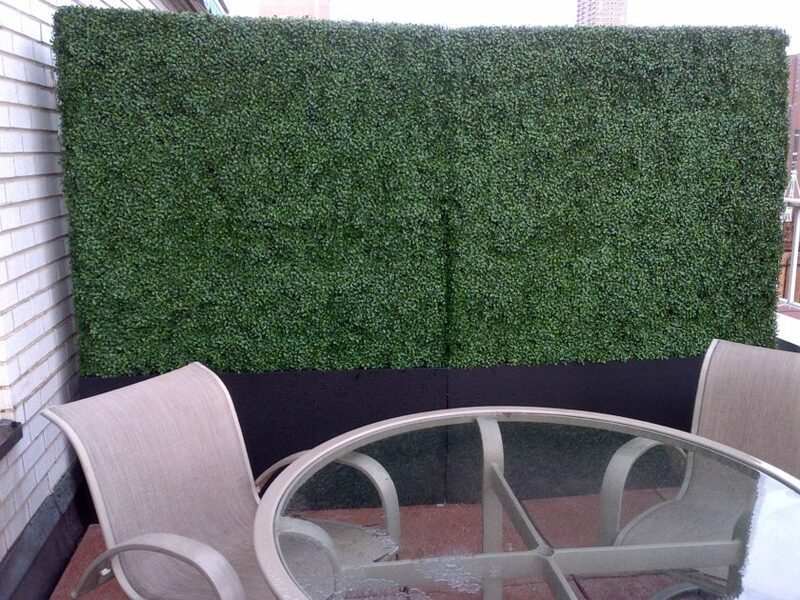 Not only do our artificial hedges block unattractive views, but they also go a long way in drowning out annoying noises in your environment. 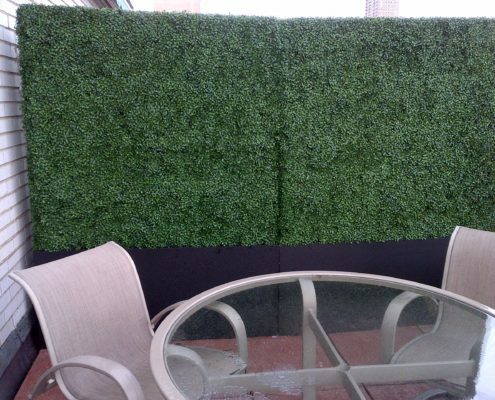 So you no longer have to worry about your neighbor’s dog going mental and barking up a storm when they see you—they won’t with our full-blockage boxwood hedge. And even if he barks, our thick hedges will muffle the sound! 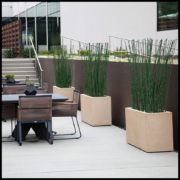 Do you have a fence or wall that’s a bit too low or doesn’t extend around your space enough to provide adequate privacy? 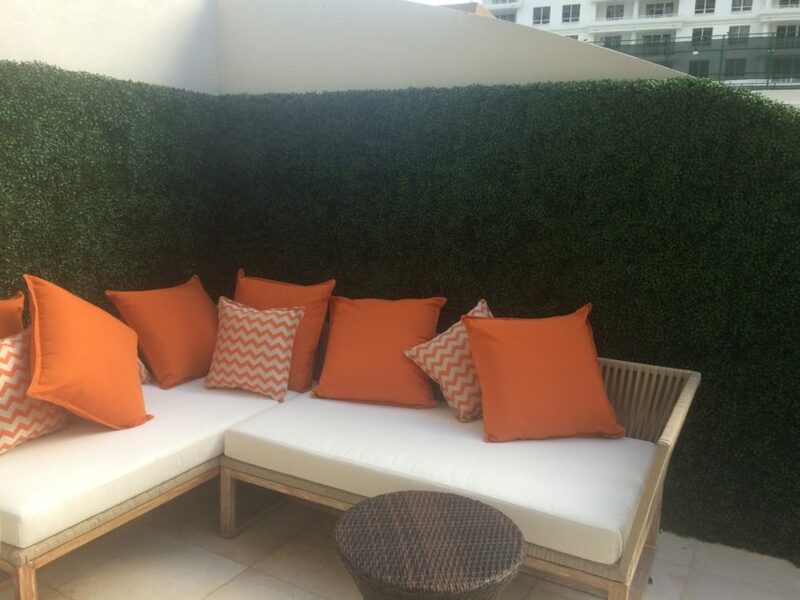 Our long-lasting artificial hedges are easy to attach to fences and walls, and are fully customizable so that they provide instant privacy by blocking sightlines at whatever height you desire. 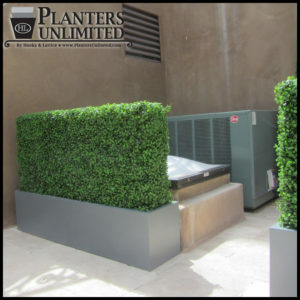 And since our fake hedges are inherently UV-protected, they will remain lush and green for years on end—with no watering or care needed! 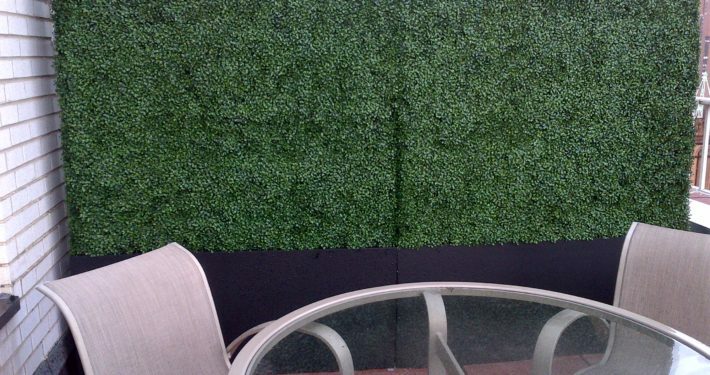 Not sure how to install our outdoor-rated hedges as fence/wall extensions? No problem! Our experts are ready to help you! Just call us at 888-320-0626. 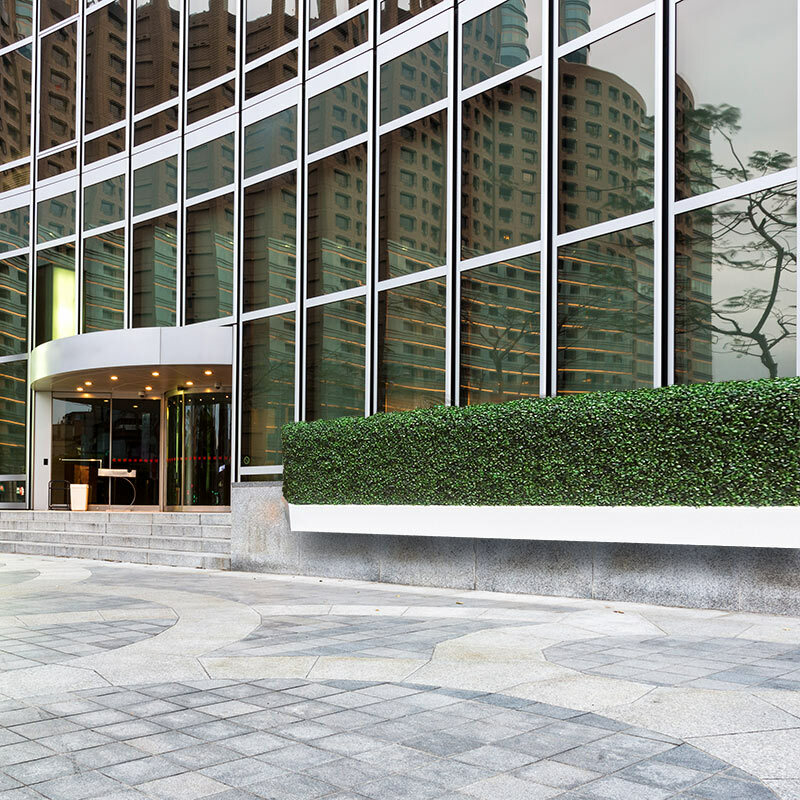 Whether you’re lucky enough to live by the beach, or you’re managing a hotel or apartment with a pool, having an outdoor shower is a necessity. 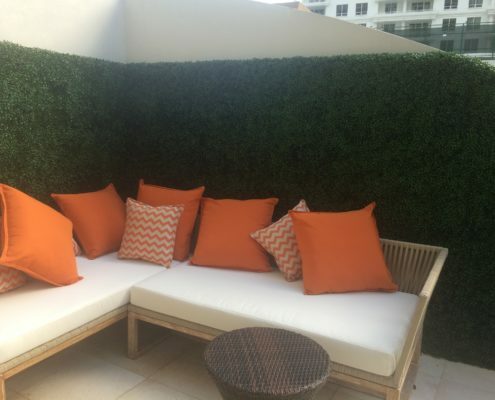 Wash off sand or have your guests rinse off before diving into the water—and do it with just a bit of poshness and privacy—by adding one or more artificial hedges for privacy to partially or fully surround the shower area. 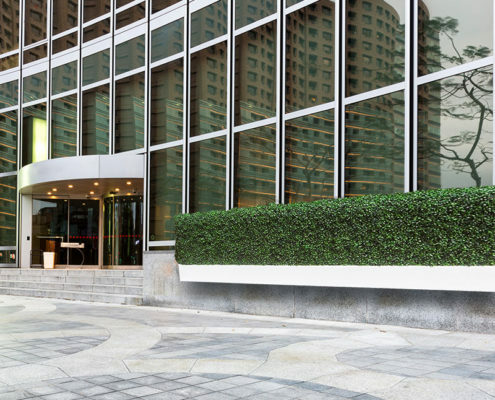 Not only do the modern, clean lines of these pristine hedges elevate your décor, but you (and your guests!) 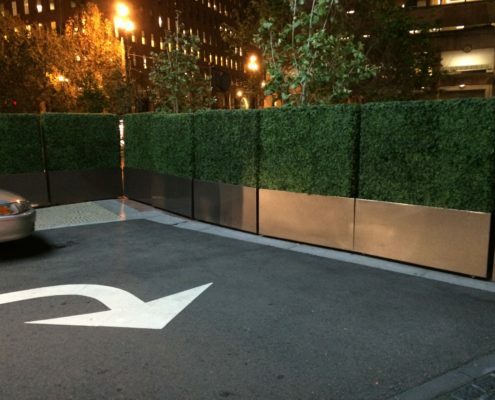 will appreciate the added privacy of having these full-blockage hedges around while rinsing off. 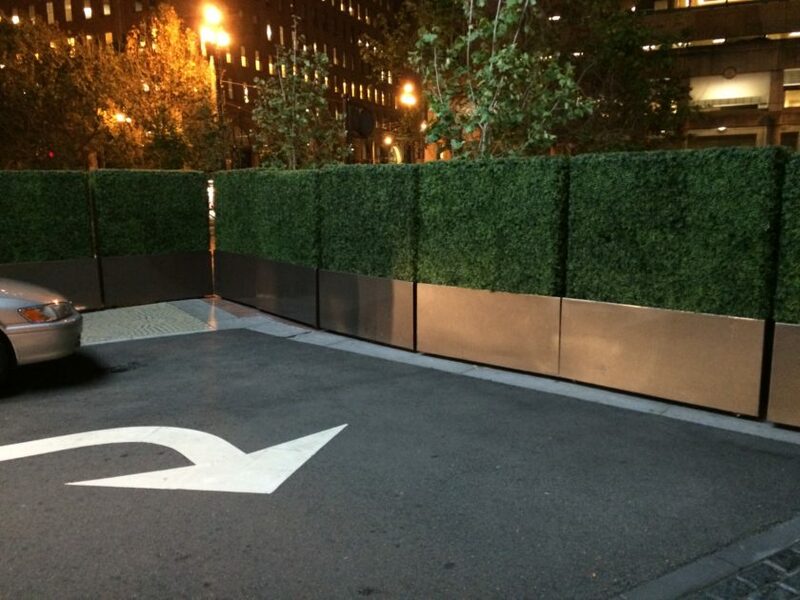 And since they have a 100% privacy rating, they are the perfect green barrier for changing behind. 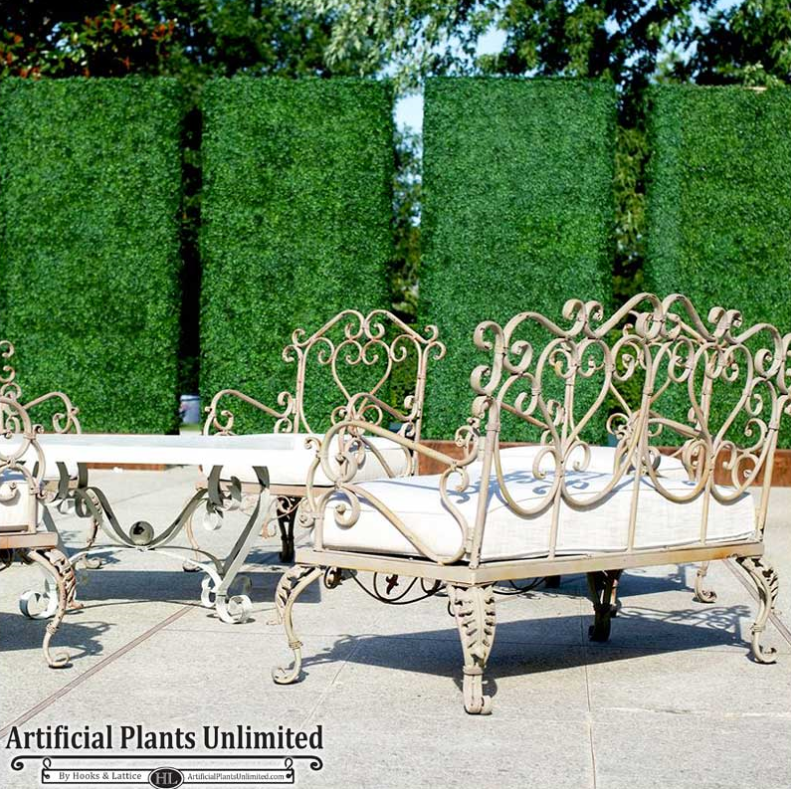 Just one more reason to love these thick, beautiful hedges for your home or business! Why settle for drab, grey cubicles when you can infuse chic décor and maintenance-free green beauty into your office space? 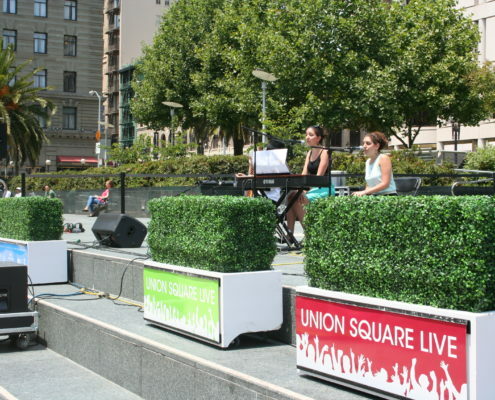 Our faux boxwood hedges do just that as work space dividers. 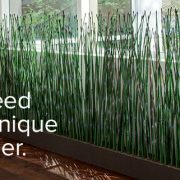 Customize them to the size you need, and place them in any configuration you like to create a workable office space that will brighten up your business. 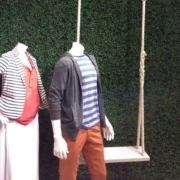 Not only are these lush space dividers great to block you visually from your workmate, they are also great for absorbing sound so that you’re not having to block out your co-worker’s phone conversations while you’re trying to focus on work—win-win! 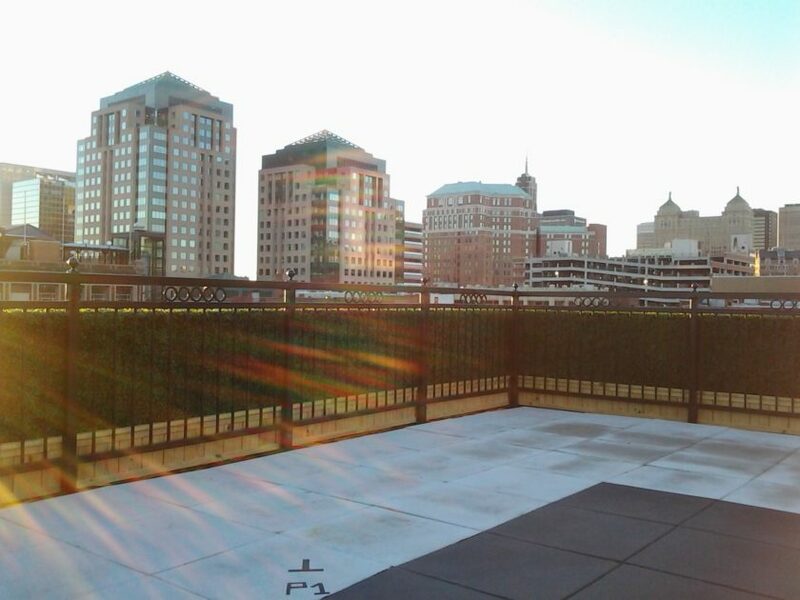 Create a partition around your patio, balcony, or rooftop deck. Decorate (and add privacy!) 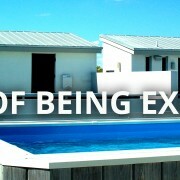 to a condo’s swimming pool. 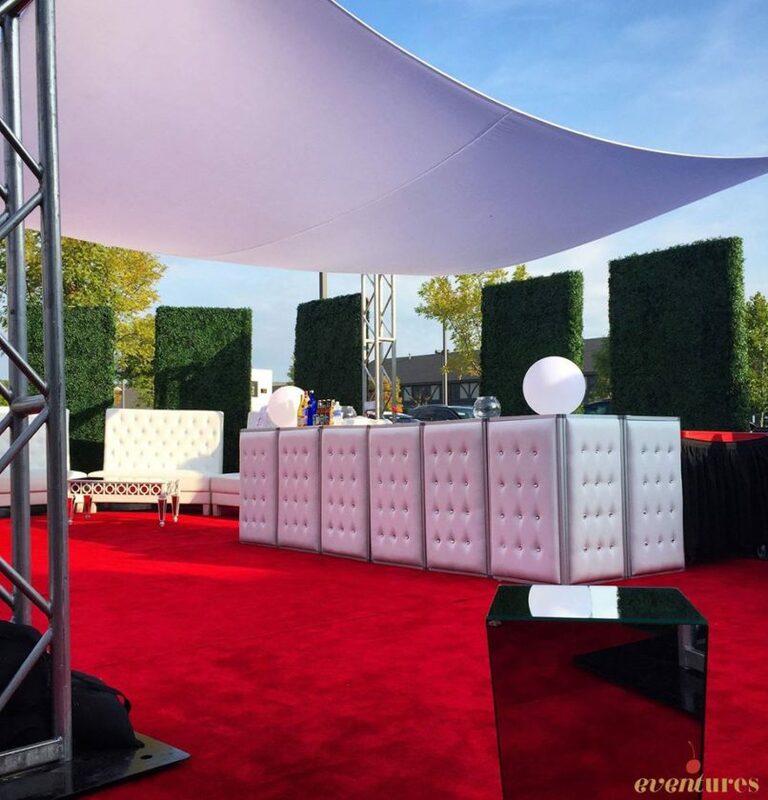 Surround a concert stage or landscape an outdoor wedding. 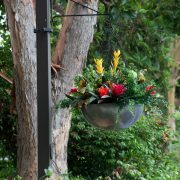 Place them discreetly around waste receptacles, electrical boxes, pumps, and other unattractive features that you want to hide. 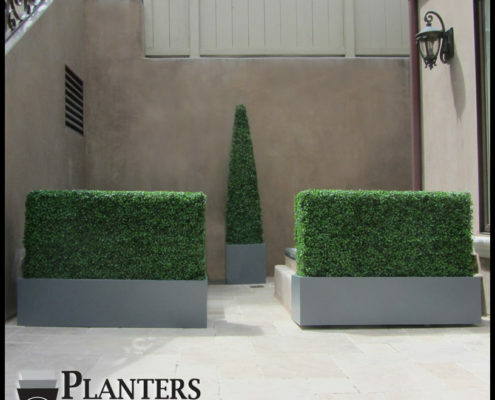 Tall or small, one or many, these lovely faux hedges—which have the option of fiberglass planter in the size, color, and finish of your choice—can do it all! 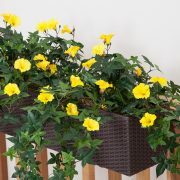 Have a Hedge Idea You Need Help With? 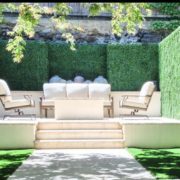 Which Privacy Screen is Right for Your Space? 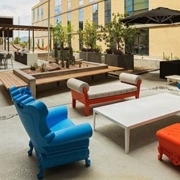 Patio Makeover for a Famous Jail-Turned-Hot-Spot!